Ever since I joined Twitter pretty much, there has been an ongoing debate as to the best 3rd party client to access your tweets. For you newbies out there, let me explain what the heck I am talking about. Twitter? Ever hear of it? Well, it is all based on an ultra simplistic website called Twitter.com, upon which an entire industry was built. Among the endless Twitter services out there, the most important is the actual software you use to access Twitter.com. I think it is safe to say that most people who join Twitter use the Web interface at least in the beginning, but at some point, switch over to a Twitter application that enables them to follow their Twitter stream more effectively than the website. How is it more effective? Well, that is a tricky question since the Web interface is updated frequently. Since the site now includes Auto Refresh, a RT button, Twitter Lists, and notifications of new tweets, the advantages of using a 3rd party client are not what they used to be. Having said that, it is still more efficient to use a client that enables you to add your Facebook account, Linkedin account, built in search, lists, groups, and many more features. The big question is, which client is the best? There are those, myself included, that swear by Tweetdeck. Then there are the other applications, which include lots of different options, but from what I can tell, the most popular one is Seesmic. Seesmic has some seriously good Twitter applications across multiple platforms, and I personally love their Android app, but have never made the switch from Tweetdeck to Seesmic, mainly because I am used to Tweetdeck. However, as of a few hours ago, Seesmic acquired a company called Ping.fm, which enables you to post your tweets to 50 different social networks in one action. This is huge! I have been looking for such a solution for a while since I generally post content on anywhere between 10-20 sites, and until now I had to do it manually. 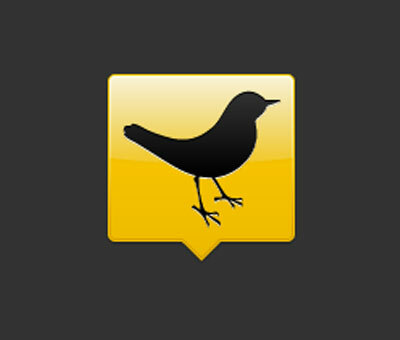 I think this acquisition might mean goodbye to my beloved Tweetdeck, at least for now. As soon as the new version of Seesmic is released, which knowing their track record, won’t be long, I will be giving it a shot. Will let you know how it goes. What application are you using? Will news like this make you switch to Seesmic? Please let me know in the comments. I agree with you Hillel. This could definitely mean Game Changed! However, unless I see a timeline of the networks in the desktop app so I can follow my networks, I doubt I will switch over to Seesmic. Posting to 50 networks is great, but I believe (I haven’t verified this) based on my use and those of others I know, that the majority post to 4-5 networks, and once in a while to more. I will switch to Seesmic, only if I can have timelines. If you use HootSuite, you can already post through ping.fm and get the benefit of the HootSuite app and timelines. I also find Tweetdeck the most useful as of now, and I agree that viewing the timeline from different networks is a key feature. In any case, I will try the new version of Seesmic when it’s out – to see for myself what it’s like. Are you going to do a review of the new Google phone? I’d love that. I’m thinking of getting one…does it work in the Middle East?